Make your own DIY Valentines with this super easy (very crafty!) homemade stamp. Secret craft supply needed? A potato! 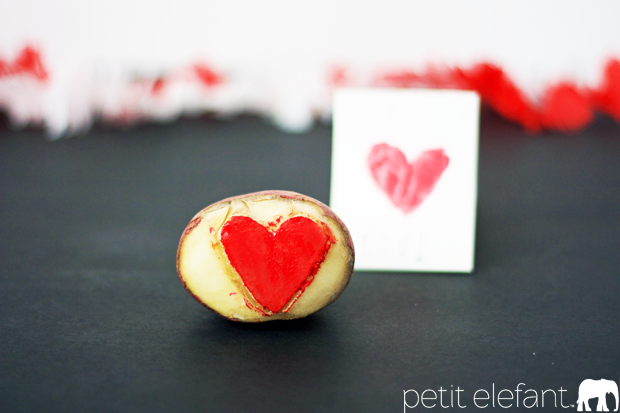 Potato stamping might be one of my all time favorite homemade crafts because it’s so cool that you can take a potato out of your pantry, carve it up a little, and within minutes you have your very own stamp! Right? So very cool. Kind of like these pretty DIY rose stamps I made with lettuce a couple of years ago. Leftover pantry food for the win. 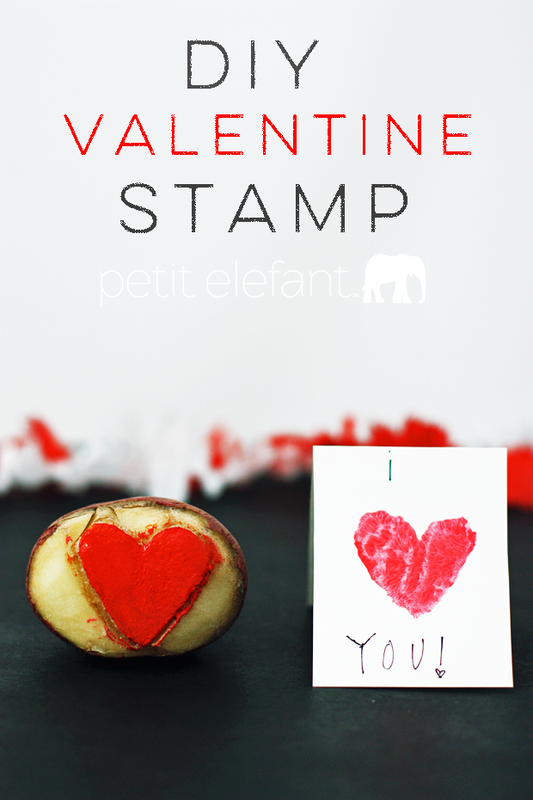 Make your own homemade DIY stamp with just potatoes and some paint! 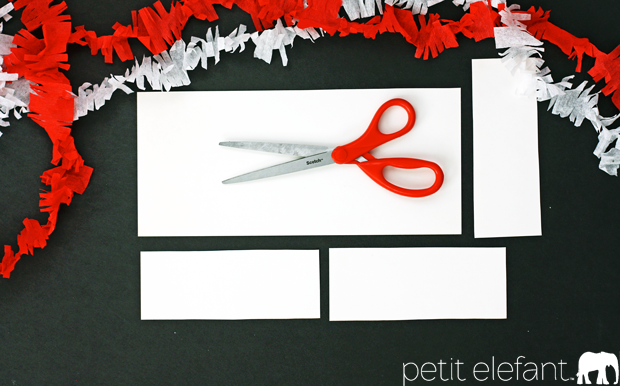 Cut card stock into note cards and fold to use in a minute. Slice the potato in half. 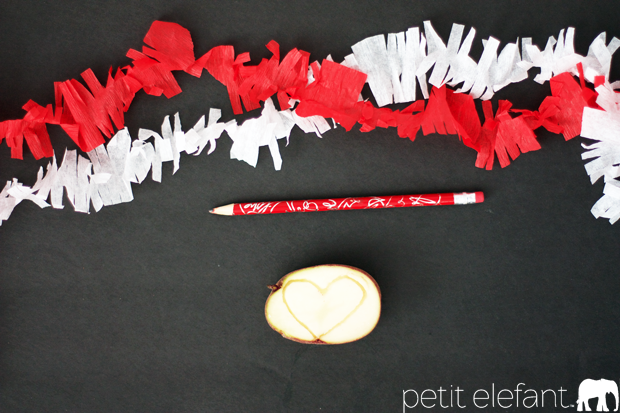 Use the pencil to trace a shape into the potato. I made a heart but you can make whatever you'd like! 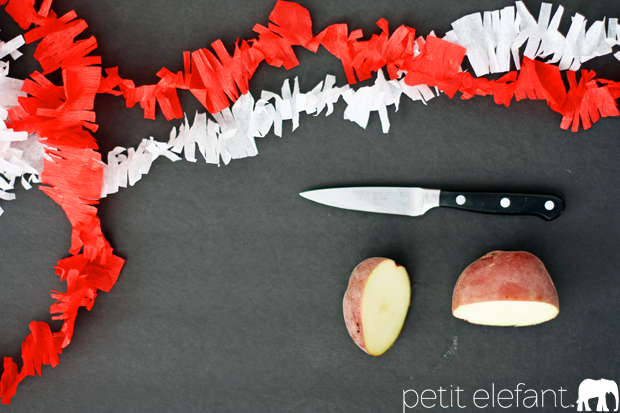 Using a knife, cut away the potato around the shape you traced until the shape is standing higher than the rest of the potato. Use the paintbrush to paint some color onto the shape. 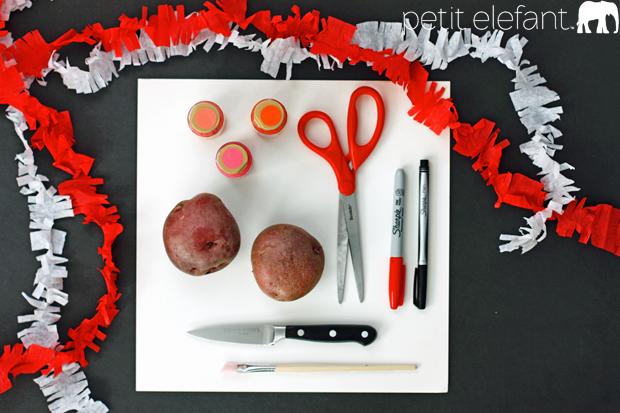 Holding the uncut side of the potato, stamp the painted shape onto your note cards. 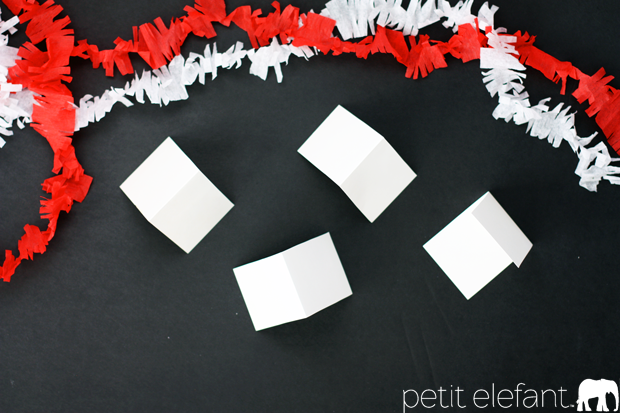 You can make flat cards, but I think little tented note cards are extra adorable. You can write or stamp whatever you’d like on the front and then write a little private greeting to your sweetie on the inside. Once you’re happy with your shape, take a paring knife and carve all around the shape. Basically you’re making a relief of the shape, or a raised up shape. That way, the heart will stick out and ONLY the heart will transfer when it’s covered in paint. Let your cards dry, and if you want add a little note on the front. 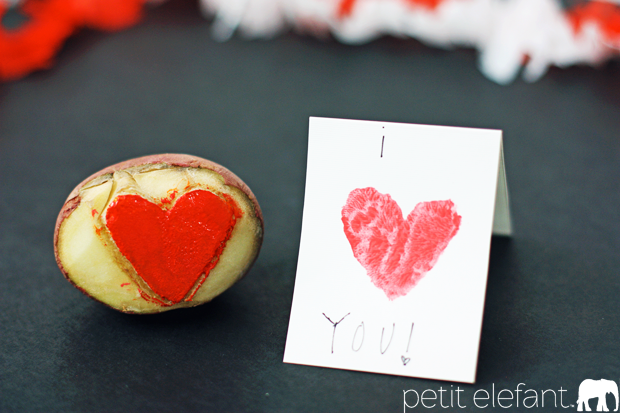 Look at you, crafty-pants, you just learned how to make your own Valentines using a POTATO.